At Compass Education, we strive to keep our courses the best they can be. Since the beginning, our courses have been based on knowledge, experience, and a passion for animals. Our courses are written, edited and published by professionals with years of teaching and first hand experience with animals, giving you the best quality of study material available. For anyone embarking on a course of study it can be a difficult time, deciding which course, whether or not you will enjoy it and wondering what you will get for your investment are just some of the things that you will be considering. I hope that by telling you something about myself, my passion for and life of involvement with animals you will understand a little of the enthusiasm that has gone into creating Compass Education and Training over the last fourteen years. Apart from my time in the forces I have had dogs in my life since I was five years old and being in my late fifties that means a lot of dogs, everything from working breeds, toy breeds, terriers, utility breeds to hounds. I have seen the joy of puppies growing up, the hard work of the elderly and infirm dog and experienced the devastation of losing many friends, the pride of being unconditionally accepted by them, the frustrations and elations of working with rescued dogs and everything in between. We currently have eight dogs and I cannot imagine life without them, they are an inspiration, no more so than when I was going through treatment for cancer two years ago. 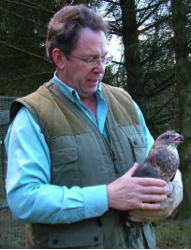 Without qualifications I felt that despite my knowledge and experience I could only be regarded, like so many others working with animals, as a keen amateur. I read books, picked up information from television, trained my dogs and rescued any injured wildlife I came across or was brought to me. It was then I decided that if I was to become truly professional I needed a better education, so in 1994 I enrolled at Oxford Brookes University on a combined studies degree of Psychology and Animal Behaviour. Three years later I achieved my 2:1 BSc (Hons) and for those of you wondering if it’s possible whilst working in your late thirties and paying a mortgage, there is the evidence. After graduating I studied Counselling Skills at University College London and went on to professionally offer behaviour counselling. My teaching experience and education started in the Army, where I instructed and lectured on a range of primarily military skills but as a civilian I qualified as an adult education teacher and taught everything from numeracy, literacy and communication skills in prisons and young offenders establishments to animal behaviour, mathematics and psychology up to ‘A’ or ‘Higher’ level in local colleges and adult education centres. 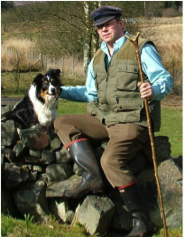 In 1999 Compass was created and since moving to Scotland eleven years ago it has continued to grow making more and more demands on my time especially with the added responsibility of running the animal sanctuary. Since 2008 I have been closely involved with the creation of standards for animal trainers and behaviourists and was elected as the first chairman of the Animal Behaviour and Training Council. More recently I have been working with the Sector Skills Council reviewing National Occupational Standards for animal care, welfare and management. 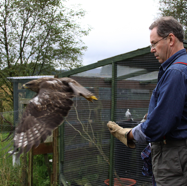 My special interests include breed specific behaviour in dogs, animal personality and environmental enrichment of captive wild animals, I am also actively involved in the soft release of rehabilitated wildlife. I am often asked whether practical experience or formal education is more important when working with animals and the answer is ‘both’, until you have the education you will never understand how much you do not know and the practical experience tells you how to apply that knowledge. When it comes to providing educational programmes there is, of course the added need for experience and qualifications related to teaching and the academic process too. At Compass we strive to provide the best of the former and the latter, experience sadly cannot be taught so it is up to you to go and get involved to complete the process.